Gov. J.B. Pritzker addresses students and community leaders at Southwestern Illinois College in Belleville. The state’s investments in industry. Resources for rural and urban areas that have limited access to employment opportunities. 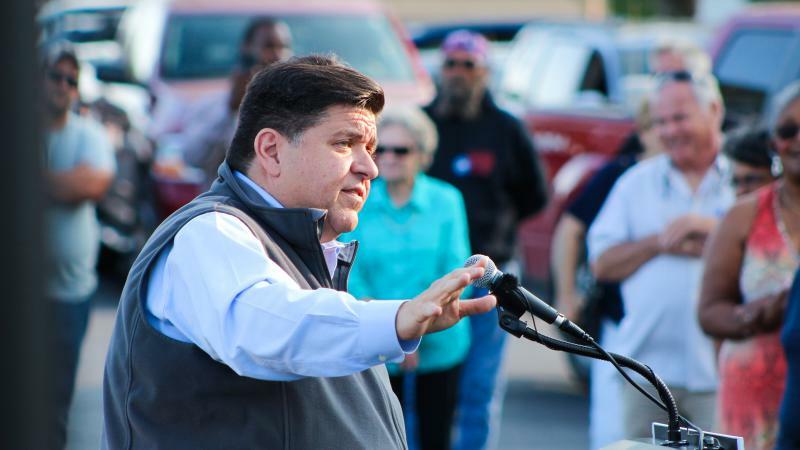 Pritzker told a crowd gathered at Southwestern Illinois College in Belleville that the order is just one part of a plan he hopes will strengthen the economy and create jobs in Illinois. Sonny Wilson, a student at the college, thanked Pritzker for visiting his college. “The state needs to look at what industries are growing and prepare students like me to start a career. That’s what Gov. Pritzker is starting to do,” Wilson said. Pritzker nominated Erin Guthrie to lead the Department of Commerce and Economic Opportunity. As director, she would head the review. 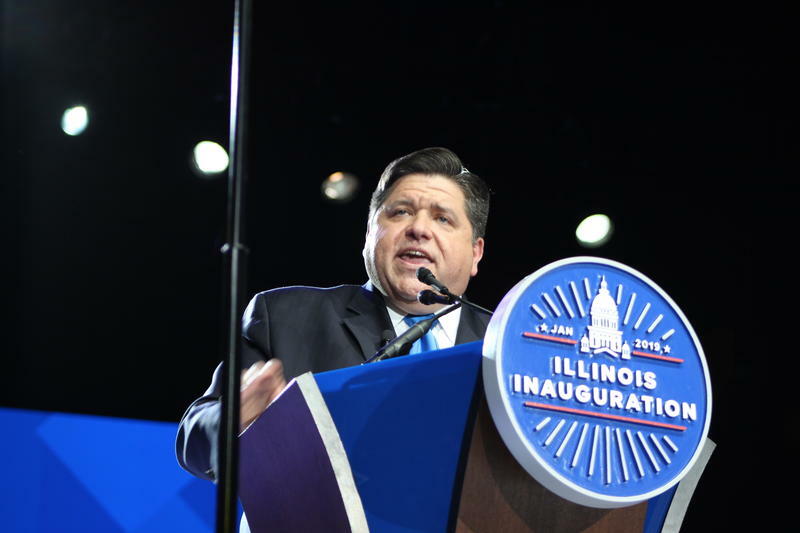 Pritzker said one of his long-term goals is to help colleges better prepare students for jobs in industries that need more workers. 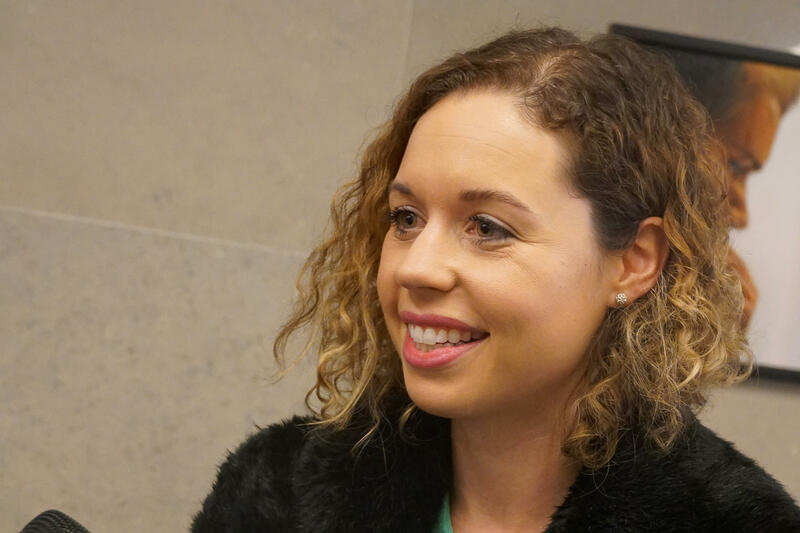 Pritzker has nominated Erin Guthrie to head the Illinois Department of Commerce and Economic Opportunity. As the department’s director, she would lead the review. To begin the evaluation, the department will first examine how it’s spending money. “I think the most important thing is to get a handle on where we’re spending our dollars now, and also see how those map to growing industries,” Guthrie said. The review will focus on opportunities in technology, healthcare and manufacturing industries, according to Guthrie. Once the report is complete, the department will begin considering how to reallocate resources, she said.